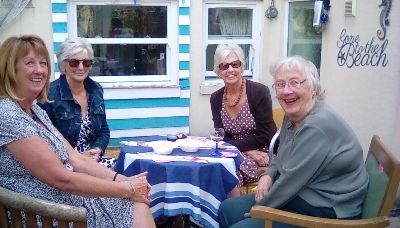 An extremely successful summer fete was held in our Southsea home on Saturday 19 August 2017. The weather was kind which ensured a great turn out. Entertainment was provided by 'Worlds End' who created a party atmosphere. 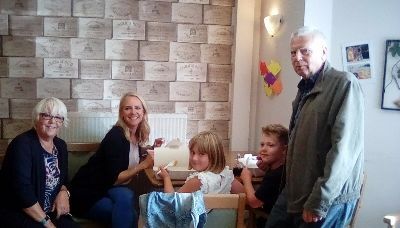 Food was plentiful with all enjoying fish and chips and numerous cakes. 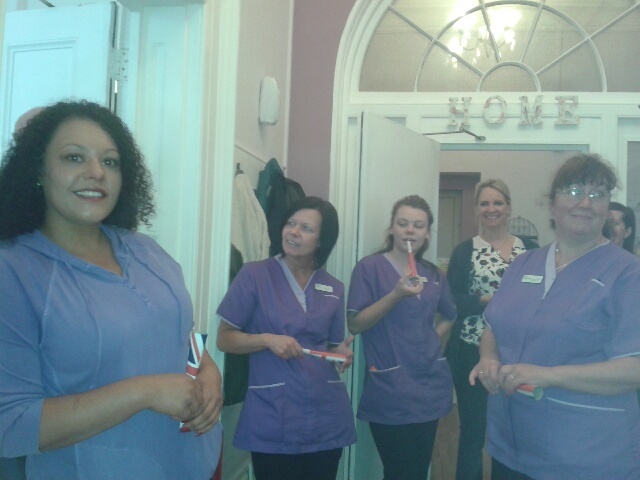 A popular raffle coupled with generous donations provided moneys raised in excess of £200. Thank you to all who attended, in particular to off duty staff for giving up their own time. Overall a thoroughly enjoyable day. Well after all the training the day finally arrived. However, before I could do anything I needed to register for the race and collect my number. This involved a trip to London on Friday. For those that are ever crazy enough to take on the London Marathon this is where the atmosphere really starts to build. Situated in Docklands, the ExCel Arena hosts numerous conferences, International exhibitions etc but for this week it is hosting running. Packed with numerous stall holders, you are able to purchase absolutely any type of running regalia. I noted a number of runners purchasing running shoes which given the race was on Sunday, it was a little late in the day if they wanted to break the shoes in. All the various charities that benefit hugely from the event were also represented and provide runners with free gifts. You leave the event laden with freebies, uncertain of what to consume and what to rub on your legs and left with the question would either make any difference anyway. For me a sports massage was a must. I had been suffering from a niggling injury following the ankle brusing I sustained whilst playing football which in hindsight was not one of my better decisions. The massage would resolve these issues, or so I had hoped. What a painful experience, but felt much better. I was so tempted to go out for a short run on Saturday but wisely chose to rest. An early start on Sunday morning took me to the start line. Typically the British weather could not make its mind up which left me in a dilemma, what do I wear? There is no option to change halfway round, what you wear at the start is generally what you end up wearing at the finish. Decision made, my remaining wordly goods placed in a plastic kitbag with my number attached. Whilst awaiting the start you are held in an area that is surrounded by trucks that carry the kitbags to the finish line where hopefully I will retrieve mine later on in the day. As I sit and wait to be called forward to the start line, it is only then that you realise the amount of work that goes in to organising an event such as this. Air balloons act as advertising, everything seems to run like clockwork. My first doubt begins to creep in, will my leg hold out, have to wait and see. The atmosphere on the start line is immeasurable, we're off. Seems to take an age before I cross the start line, but the roar from the crowd makes if all worthwhile. The whole of East London appears to be in party mood, as you run by, the different cultures, the different foods offered are amazing. A I run past the Cutty Sark, I feel a twinge in my leg, it's far too early for this. I need to dumb down my expectations and ensure I complete the course. As I approach Tower Bridge, I could not help myself, a running selfie was the order of the day. The run takes you further in to the city, the crowds increase. The noise is simlar to what Premiership football players experience weekly (I imagine). I was grateful to be a footballer, just for the day. The constant call out of your name encouraging you to keep going definetely inspires you and is exactly what you need particularly as the 20 mile marker approaches. My left leg starts to cramp, so following a stop and numerous stretches I continue on. They say there is always someone worse off than you. During this event I witnessed so many, some continued running when perhaps they shouldn't , others in tears and distraught knowing they had run their race and would not reach the end. 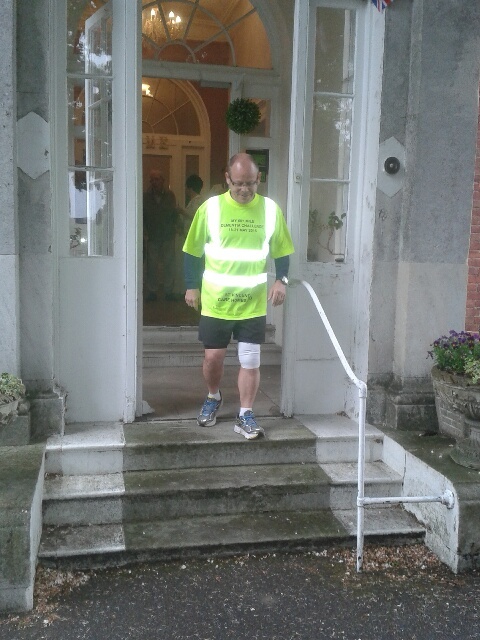 I took my hat off to those that dressed in all sorts of fancy dress and made it to the end. With the end approaching I dreamt of doing a sprint finish with 300 yards to go, whilst my head was willing me on, it clearly was not talking to my legs, who seem to have a mind of their own and were insistent on one pace 'plod' which I reluctantly agreed to. To cross the finish line is extremely difficult to describe, a number of emotions hit you all at once, but once I went through these I was in receipt of a medal. Strangely putting one foot in front of the other begins to become a chore, the soles of your feet seem very tender and you just want to sit down. However before I could contemplate such a luxury I needed to meet up with my kitbag. Unsurprisingly having experienced how organised the event is, I strolled up to the allotted truck, a volunteer handed my kitbagand said 'well done'. With my kitbag in one hand and goody bag in the other, time for a sit down and something to eat, hunger had taken over. Sitting in a park surrounded by thousands of other runners and their families and supporters, I considered my next move, which at the time was extremely difficult because my legs had fallen out wth my head, they were definitely not for moving. Whilst I thoroughly enjoyed the day, the training is relentless and very time consuming. 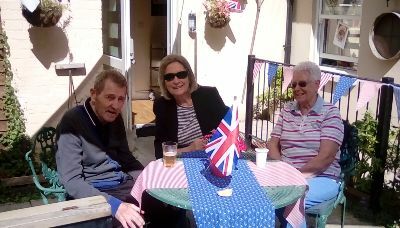 However, the consolation is that our residents have benefitted by the tune of £1,300 so that alone makes it all worthwhile. Well I only have 5 days to go until I plod the streets of London. I am looking forward to the atmosphere that is created, support provided by the crowds that are with you ever step of the way and the kids that offer you sweets and ask for a high five as you run past. Jelly Babies seem to be the sweet of choice, high in sugar content, they do make a difference. The journey thus far has been pretty much pain free, other than my reported ankle problem a few weeks ago. The swelling is no longer but has unfortunately led to a compensatory injury on my left knee but with a further 5 days rest it will be fine. Training over the last couple of weeks has taken place in the garden of England. Kent is not known for its undulating terrain, although I seem to have found some, particularly the roads that incline forever. 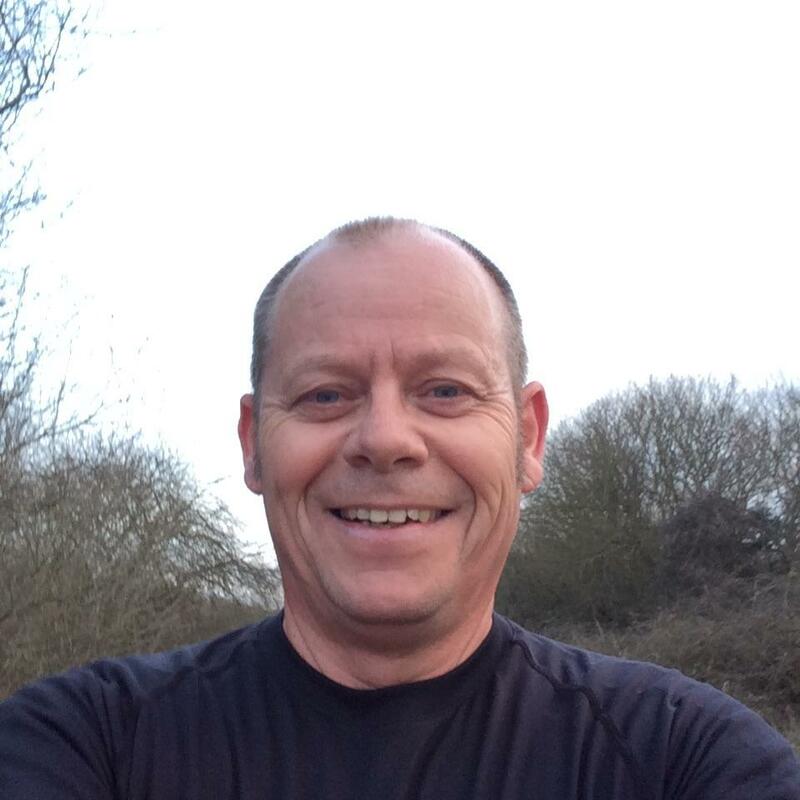 I completed a 16 mile run two weeks ago which going out for the first 8 miles was fine. However, the return was not very enjoyable. That said, the weather has been good over the last few weeks which makes the runs more bearable. The outlook for Sunday suggests it will be dry with a little sunshine, ideal running. The final leg before the marathon is the collection of the race number. Unfortunately, you have to collect your number in person from the ExCel in London. I intend to collect mine on Friday in the hope that I will go after the morning rush and leave before the evening rush hour. there is still time to collect more money and change the running order. It is less than 3 weeks until the big day. 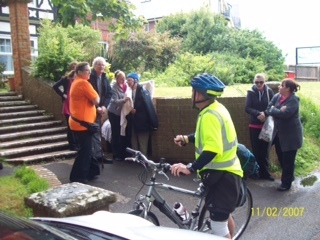 This week I have completed 2 training runs in Gosport and I had intended to complete two runs in Bournemouth. I volunteered as the 'Duty Driver' for my sons 'Stag Event' in Bournemouth. We arrived in Bournemouth on Friday afternoon giving me the opportunity to have a training run on the beach. The weather was ideal and as can be seen from the pictures very quiet. I completed an 8 mile run and was then ready for the festivities to follow. One of the planned activities for Saturday was five aside football. With 11 participants there was no hiding place, within 10 minutes I was involved in a tackle which I did not win and my ankle came out second best. Not wishing to stop, I continued for the remainder of the game which in hindsight was not the best decision. Sunday morning, ankle rather swollen, the planned run no longer possible. I am therefore unable to train for a few days which is a bit frustrating but necessary! The clock is ticking not in my favour I hasten to add. I continue to pound the street in an attempt to be prepared for the Marathon. Given the recent events in our captital, I doubt that could at all be possible. 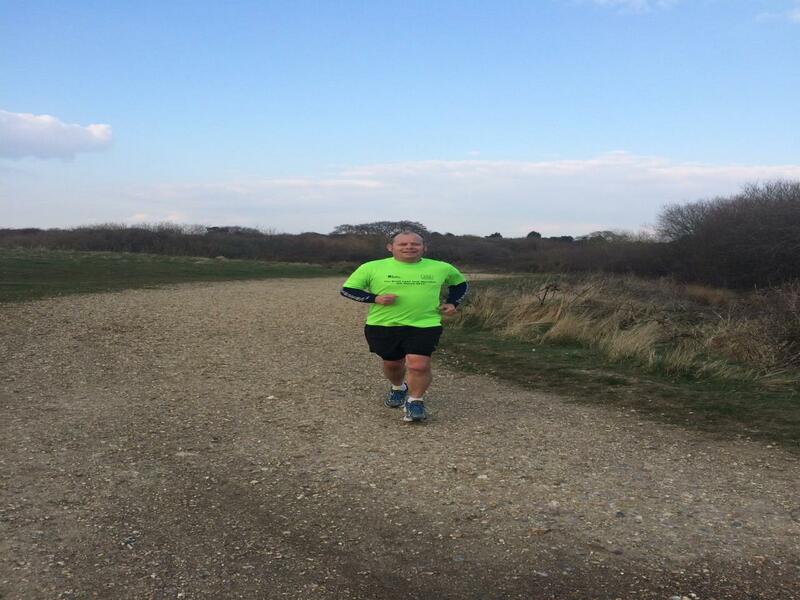 This week I have plodded along the usual routes around Gosport with a 6 mile and 8 mile run. 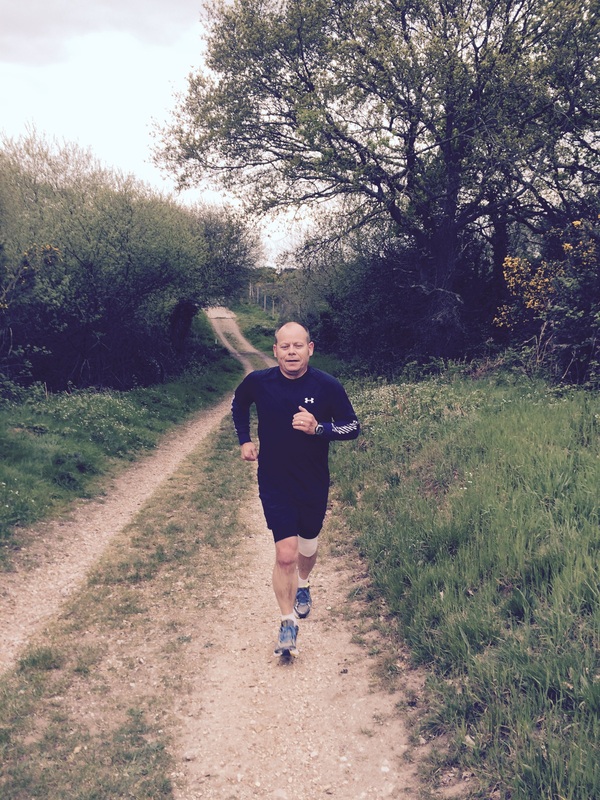 At the weekend I was in Kent so tackled the hills near Dover, bit of a shock to the system but good training. In terms of the challenge, whilst there has been no place movements, Gosport has woken to the challenge. Given their previous history, I suspect they will challenge for the top spot although Eden or Magnolia may have something to say. 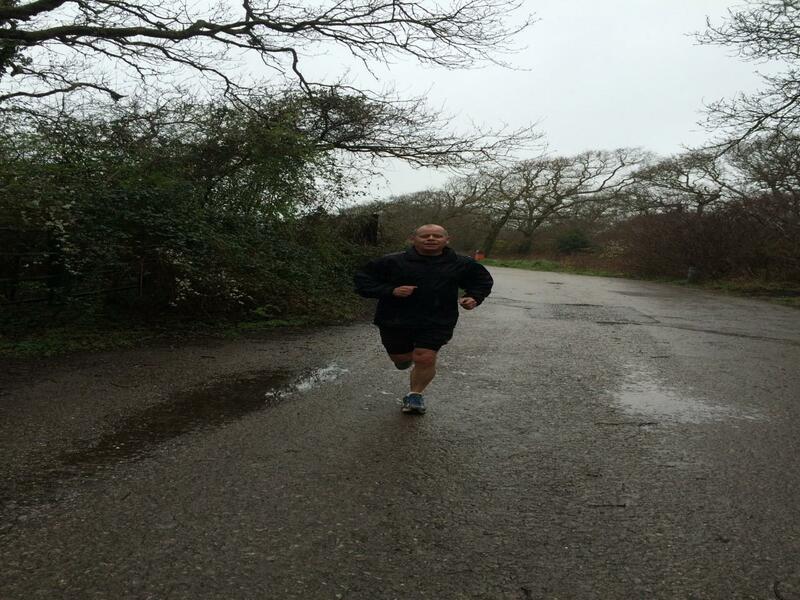 With less than 5 weeks to go until the London Marathon, the training has stepped up a notch. I completed a few 5 - 6 mile runs in the week in the knowledge that I had a long run to come on Sunday. 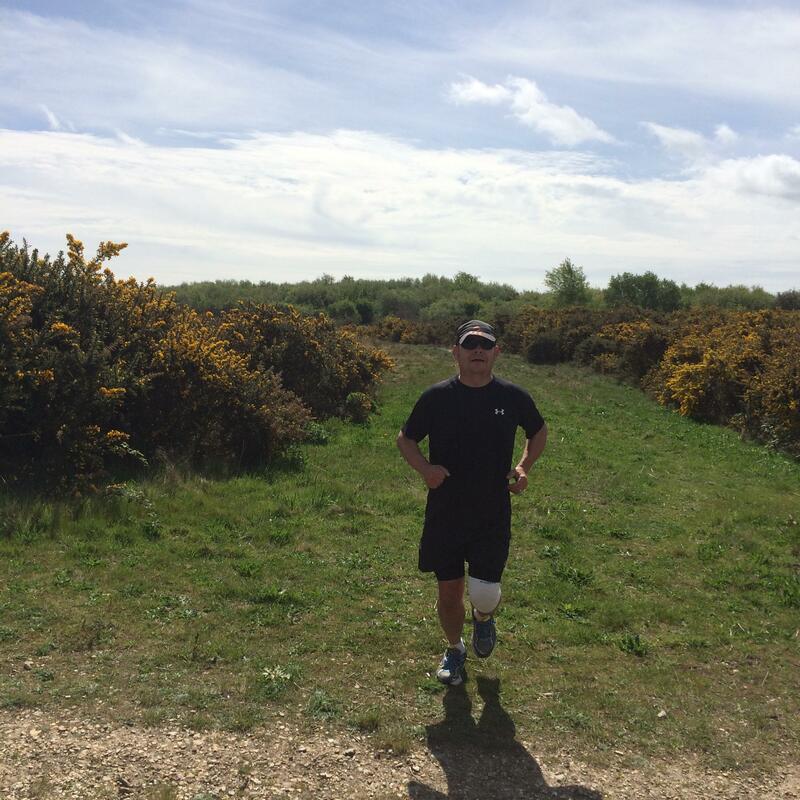 I entered the New Forest 20 mile run a few months ago and felt at the time that I would be more than ready for this. Training has stalled on a few occasions with my legs getting to grips with a new pair of trainers and the increased mileage. However, not one to give up easily I turned up at the race start which seemed ok, albeit a little windy, but felt I would be protected by the avenue of trees. The race was over 2 x 10 mile laps and the course description slightly undulating. Having trained primarily in Gosport which is relatively flat, to say I struggled the first 10 miles was an understatement. As I plodded past the coned off finish line after the first 10 miles, I did consider dropping the next lap. Pride or perhaps stupidity had taken over, so I continued on lap 2. I am not someone that gives up easily but, 3 miles in on the second lap, I did contemplate turning back. At the 17.5 mile feed station I consumed a banana and a sports gel which probably does not make any difference but mentally I felt better and stumbled on. I have attempted to upload a video of me crossing the line, but am unable to at the moment, technical issues! Training this week has included some elements of Spring with a few 6 mile training runs, significantly a very wet Tuesday. Given the predicted weather for Sunday, I chose to do my long run on Saturday. It proved to be a wise choice as it was dry and not too cold. All the homes continue to raise sponsorship on my behalf which I am very grateful for. I will provide an update of how the Homes are getting on in terms of the ongoing competion on my next update. 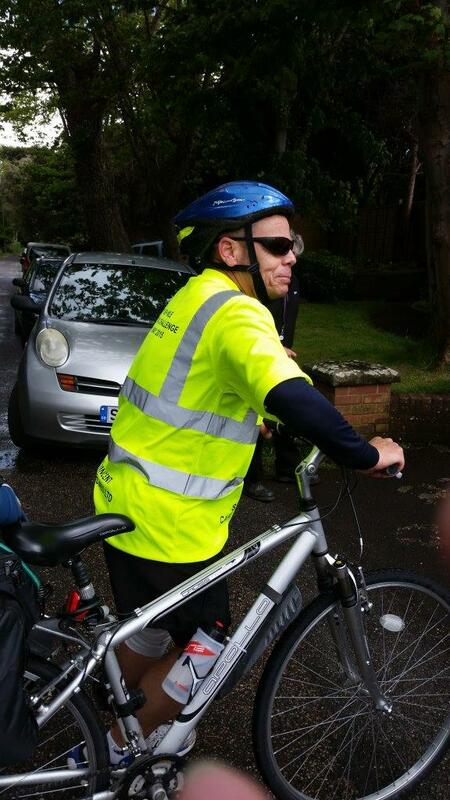 Some of you may recall that I completed a Dementia Challenge in 2015, the challenge included running 20 miles and cycling 50 miles whilst visiting all four of our homes. 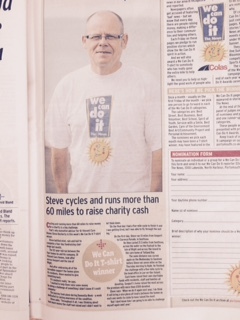 The challenge generated a lot of interest in the the local papers and in the homes. 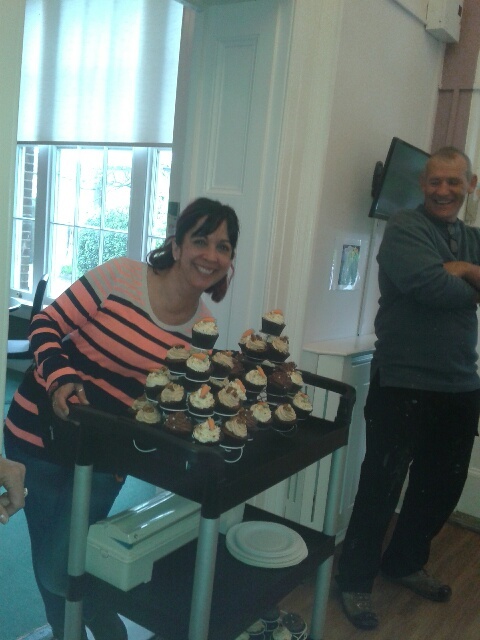 The end result was that all our residents benefitted from the money raised. Last May I applied for the 2017 London Marathon, in October I found that I was lucky enough to have secured a place. I discussed the possibility of the Company providing some sponsorship as they had done previously. I am pleased to say that the Directors have kindly approved the allocation of £1,100 which will be divided between the four homes. I started my training journey last year and continued with a 14 mile run yesterday. The photo suggests a damp day. What it does not capture was the soaking I received at the beginning and end of the run. I look forward to the next 47 days, not that I am counting. 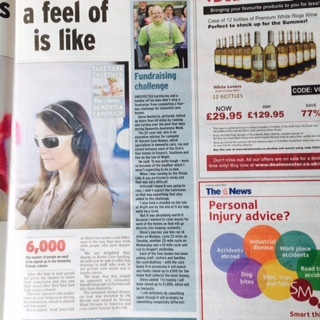 Over a month since the challenge but thought it would be a good opportunity to see the press coverage received. 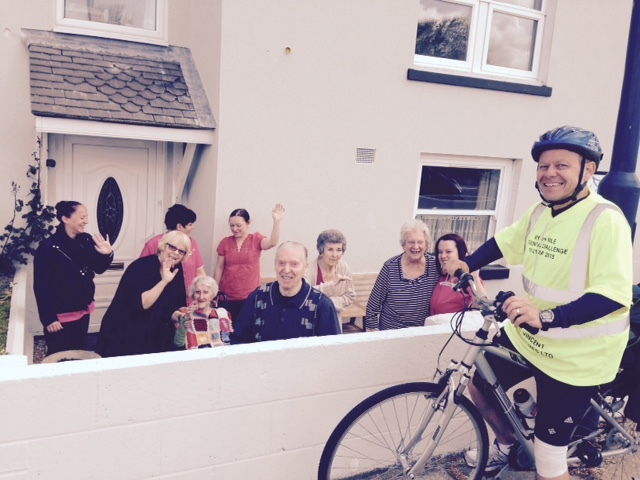 I departed Magnolia House with what has become the traditional send off, thank you. Having put my body through the mill over the last few days I was not certain if my legs would make it. That said I believe I have become accustomed to the terrain, or my body has. The initial couple of hills were a little taxing but clearly the running training I completed over the last few months paid dividends. The last hill of note was a bit of a beast but I was distracted by a phone call from my nephew who was a little concerned with my breathing! I said I was fine and that I would call him back later. I reached the top of the hill took a picture to record the event and then realised there was a reason he called so called him back. Good news, his wife has had a baby boy. Despite all the ups and downs of the last few days, following the call I was more determined than ever to complete the last leg of the challenge. I arrived at Ryde Pier Head and reflected on the last couple of days on the Island. Whilst it had thrown up some unexpected challenges, the Island is extremely picturesque, something in the busy world that we live in, we tend to forget to just slow down and open our eyes. 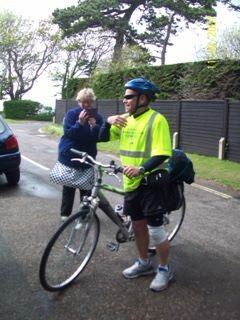 Having met up with my bike (thanks Ros) a sea journey x 2, I had only a bike ride ahead of me before completing the challenge. The weather again was favourable today which does make it a little easier. Whilst I have received plaudits from the Directors and Staff, I receive them on behalf of the residents and relatives who support them. For me my challenge was for 4 days, as we know our residents and relatives are faced with different challenges on a daily basis. If by carrying out this challenge it will benefit the residents in the future, then perhaps we should make this an annual event, although the setting and the participant could change! Well a pretty uneventful day in comparison to yesterday. That said the route remained consistent, in that there were numerous hills that seemed to go on for ever. The descent on one such hill was great, I free wheeled for what seemed an eternity and was great fun, although I would not recommend it to the faint hearted. My final day tomorrow. 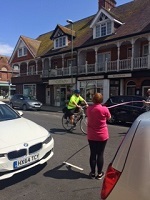 I run from Magnolia House in Sandown to Ryde, I intend to leave Magnolia at 1030, where hopefully on arrival at Ryde, provided the logistics work, I should be reunited with my bike. I will board the fast cat followed by the Gosport Ferry. 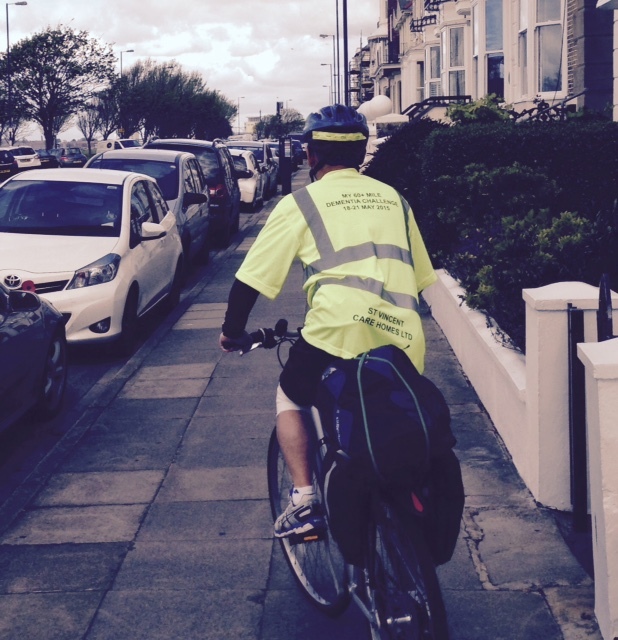 The final leg of my journey will be a short cycle ride from Gosport to our Head Office in Lee-on-the-Solent. 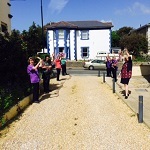 More importantly it is the final day of raising money for our residents funds. If you have not donated so far or wish to again, the clock is ticking, I will contact the homes on arrival at Head Office and reveal the winner of the 'Directors Prize', good luck. 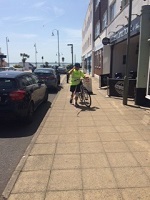 Today I departed Southsea on my Bike, however before leaving I was treated to some bacon sandwiches (thank you Pete) which I can assure you was gratefully received. 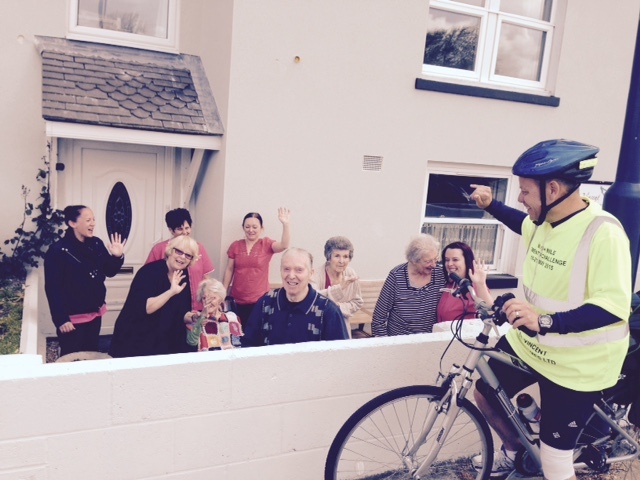 As would seem to have become traditional a crowd of Residents, staff and Carol (owner) gave me a rousing send off. I departed in sunshine but whilst I expected some changes to our great British weather I was not prepared for what was to follow. 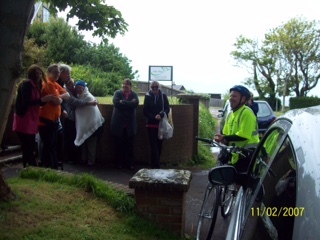 On arrival in Ryde it was a little overcast and a little gusty but nothing too bad. As I approached the first 'Island Hill' it was at this point that I realised that google maps gives you a distance from point A to point B. It forgets to tell you the height of the hill or indeed its duration. Having defeated the first couple of hills the wind picked up and the hail followed. I could not believe that in the middle of May I should expect this type of weather. Of course this was traditionally followed by some sunshine. Unfortunatley I returned my coat to the rear of my bike but did not secure it properly, which in time proved a bit of a school boy error. The wind and hills continued to hamper my progress. The bonus of hills of course is whilst they are a nightmare to climb, they are great when freewheeling down. On one of these particular rides something went wrong. My back wheel started overtaking me for some bizaar reason. I came to a grinding halt on the verge. My coat was wrapped around the rear brakes. My coat won the initial battle, but I managed to win the war and removed it, eventually, and continued on my journey. What else could go wrong! As I continued my journey the wind did its usual thing but then met up with its mate 'loads of rain'. I was soaked from head to foot in minutes. No point in stopping, so I carried on. The hills kept coming and seemed to be getting steeper, although it is more likely I had underestimated the Island terrain. Even the roads felt the urge to become partial rivers. However to ensure that I had no option to dry out, a friendly van chose the right moment to speed pass me and soak me once more and ensure I visited the verge again. You will be pleased to know I did arrive at Eden House in one piece and was extremely grateful for the warm reception I received from residents and staff, particularly the prompt cup of tea (thank you Lisa) and the exceptional chicken curry (thank you Carol) Unfortunately, I am unable to upload any pictures at the moment but I will as soon as I can. 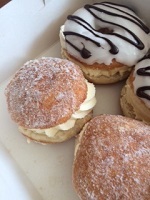 Thank you to Neil, Steve and Carol for providing them. Tomorrow takes me on another road trip from one end of the island to the other. I leave Eden at 1030 and not wishing to pigeon hole myself due to hills or inclement weather, will arrive at Magnolia House in Sandown sometime on Wednesday. 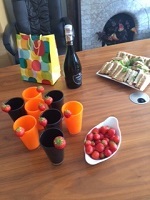 Did not expect the send off I received from Gosport today, thank you to all the residents, relatives and staff. I can assure you it was much appreciated. Hopefully this will be reported in 'The News' soon, given the number of takes and re-takes that the photographer put us through. 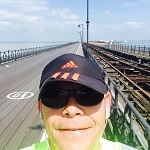 I under estimated the distance to Southsea today, with a trusted running app I completed 16.03 miles. 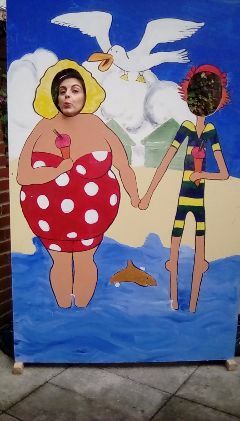 Whilst the Southsea pictures suggest it was a lovely day, I can assure you it was extremely windy and wet. 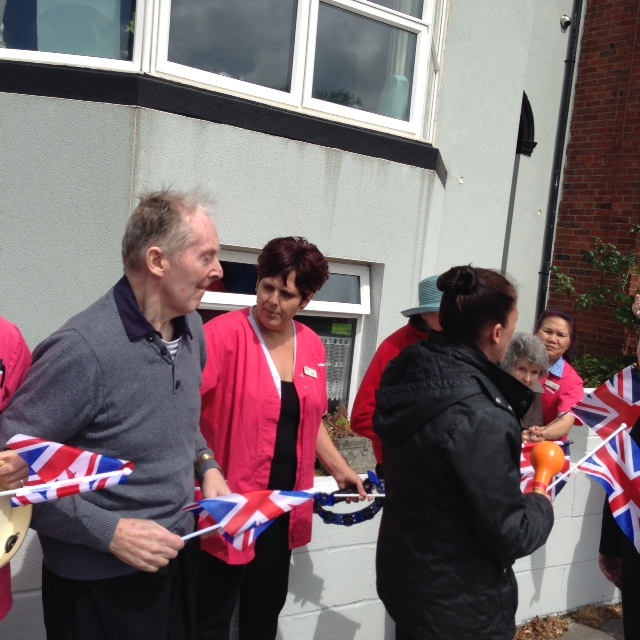 As I turned the corner a sight to behold was the staff and residents at Southsea who provided a rousing reception, thank you. 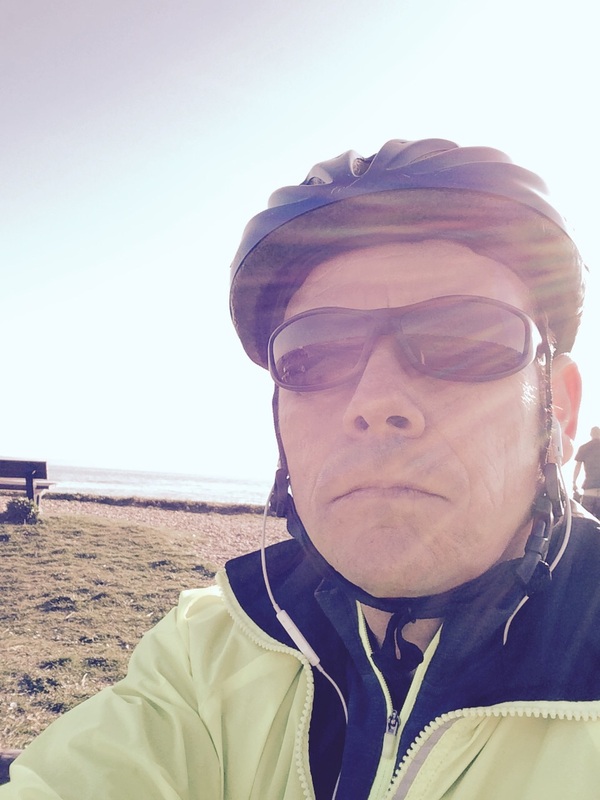 Tomorrow I cycle from St Vincent House Southsea to Eden House in Totland on the Isle. I intend to leave Southsea at 1030. Last training session completed. Relax over the weekend before the challenge begins on Monday. The weather seems to be unfavourable, hopefully it will improve. I Intend to update the blog daily from Monday onwards. With regards the Care Home Challenge, Gosport remain in the lead. However, all homes have the opportunity to bolster their funds before the end of their particular challenge which concludes on Thursday 21 May 15. 9 days and counting down. Running, cycling, running, cycling, swimming, running, cycling. When will it end, hopefully at Head Office on Thursday 21 May. I was in Southsea last night meeting some families and had a very good evening with our Host, Irene the Registered Manager. The evening seemed a huge success which has hopefully secured more funding for my challenge. No changes on the Care Home sponsorship challenge, Gosport remain in the lead. There is of course time for a change in the leaderboard. Where is the time going, less than 4 weeks to go until the challenge. 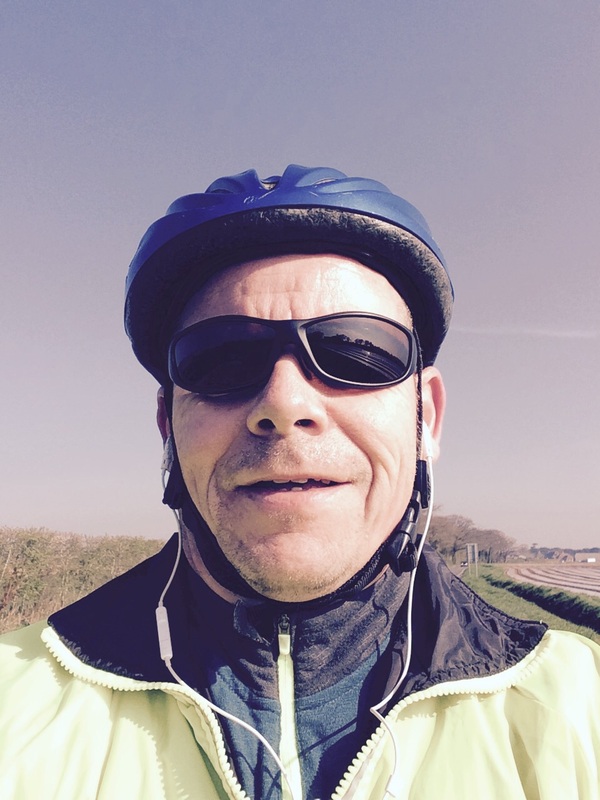 I have managed two bike rides and two training runs this week. The count down continues, less than 5 weeks left. I was on the Island yesterday at Eden House. 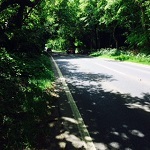 I am sure the route from the ferry to Totland Bay is steeper than it once was. I have managed a couple of bike rides but have been restricted to only one run due to an injury which I hope is fine now, I will find out later. 6 weeks to go. Managed a run and two sessions on the bike over the Easter weekend. Whilst I am picking up on the distance, the terrain in Gosport is slightly different to the Isle of Wight. The island has a few more hills, that said I suppose at some point you have an easy ride on the way down. 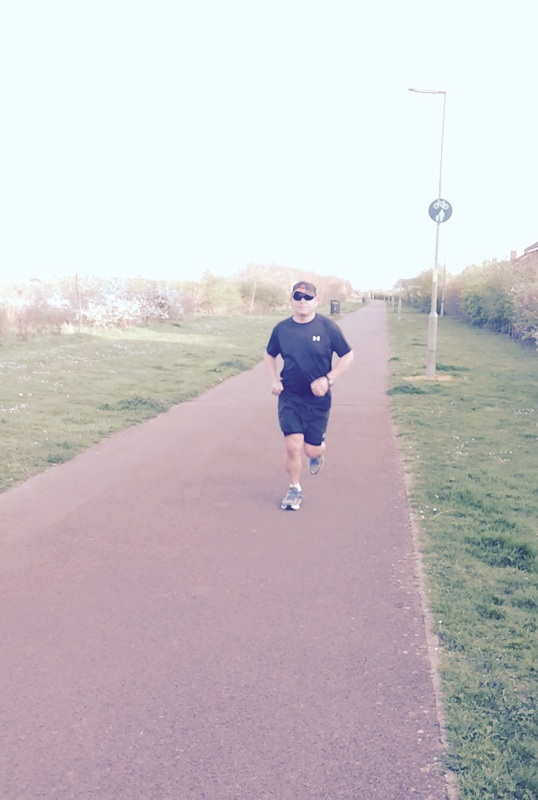 It is less than 7 weeks until the challenge, so training is the order of the day. Only managed a 6 mile training run at the weekend due to inclement weather. Hopefully the wind will not be a problem in May. 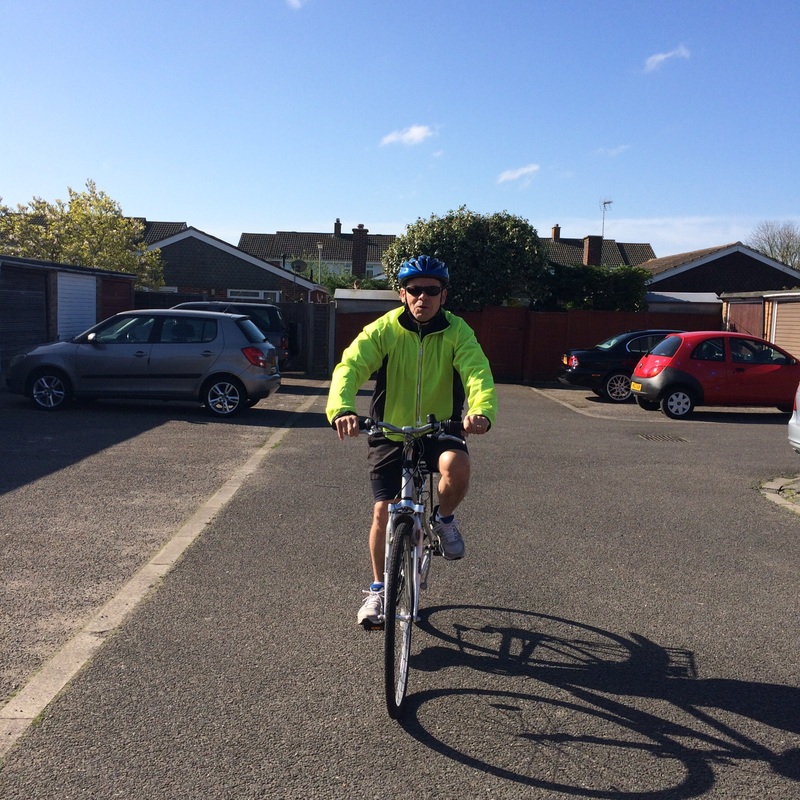 The Easter Break will allow me the opportunity to get some miles in on the bike and perhaps a run or two! Hello, by way of introduction my name is Steve Docherty, I am the Executive Advisor for St Vincent Care Homes. I work in our Head Office which is situated in Lee-on-the-Solent. However I spend the majority of my days in either of our four homes. I felt that a challenge was in order so have decided to visit all our homes over a four day period, my mode of travel will either be running or cycling further details will of course follow. 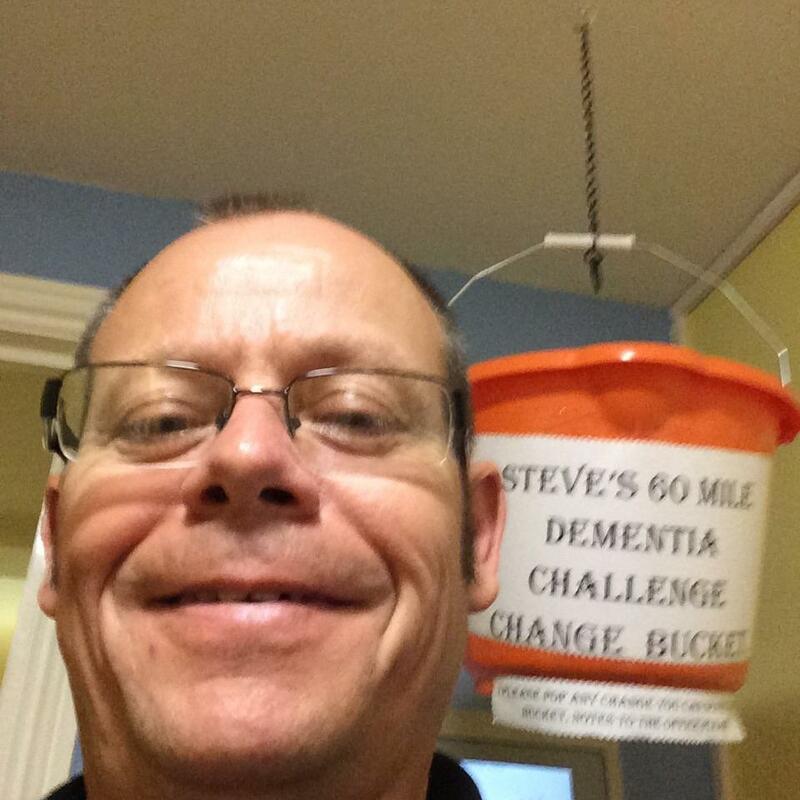 As our homes specialism is dementia I thought it appropriate to carry out the challenge during Dementia Awareness Week which starts on Monday 18th May. This will also give me the opportunity to do a little training! In order to generate some funding for each homes Residents Fund, each home may ask for a donation from you which all I can ask is to give what ever you wish. I will update this blog on at least a weekly basis and inform you of my training progress. Nearer the time of the challenge I will post daily. Wish me luck, I think I may need it.